We’re all gearing up for Back-to-School time and with that comes buying fresh, new school supplies. If you love to save money, like me, then you’re probably hoping to find the best deals for all those back-to-school supplies and conquer your list without spending a ton of money. We only have one child to shop for, but we always sponsor a child through our church and buy all of his/her school supplies as well. So, I always look to get more bang for my bucks. Good news! Amazon is celebrating its 20 birthday this week, and they are throwing a big celebration in the form of Amazon Prime Day on Wednesday, July 15. So, for 24 hours straight, they will be posting bigger deals than any Black Friday sale! Holla! They are promising huge deals for its Prime members. So, sit back girl, get those jammies on, and shop for those school supplies (and get 2 day free shipping) from the comfort of your home! Heck, grab a glass of wine while you’re at it! You’ll be #winning! Back-To-School Deals with Amazon Prime Day! 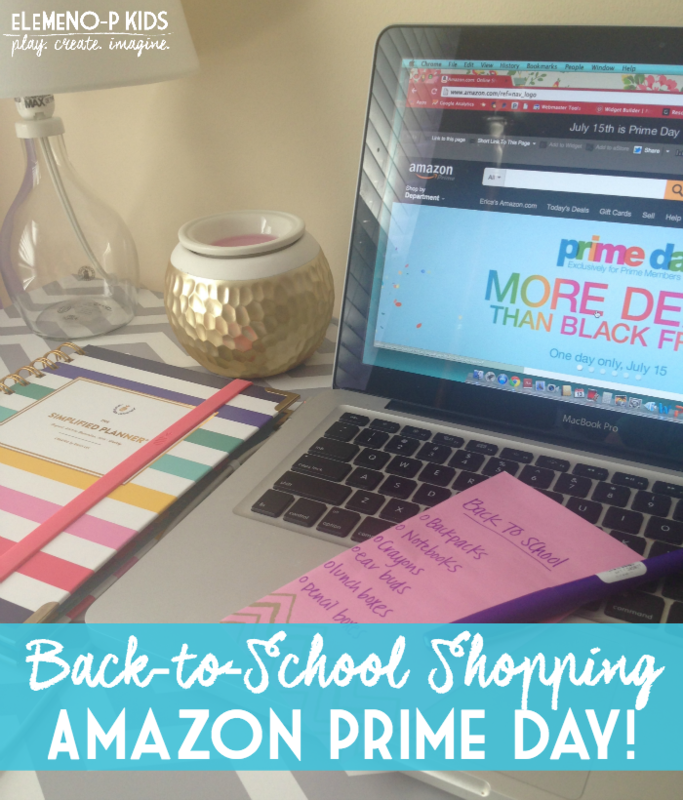 So, if you’re ready to shop for those school supplies or even get a head start on holiday shopping, then you need to check out Amazon Prime Day! If you’re not yet an Amazon Prime Member (what are you waiting for?) then you can get started with a FREE, FREE, FREE 30 day trial membership! At least sign up for this, so you can participate in Prime Day and see just how awesome it is! Amazon is promising huge savings and new deals released every 10 minutes, thousands of Lightening Deals, and Deals Of The Day, so this is sure to be a fun-filled, all-day event! Fun begins at midnight PST. Remember, sign up for your 30-day free trial today and get exclusive benefits on Amazon Prime Day! And if you just can’t wait for Prime Day, and are ready to start shopping for Back-To-School supplies now, Amazon already has some great Back-To-School Sales booming!